When you are one of the people that got a chance to personally greet the Pope, how do you prepare for that moment? 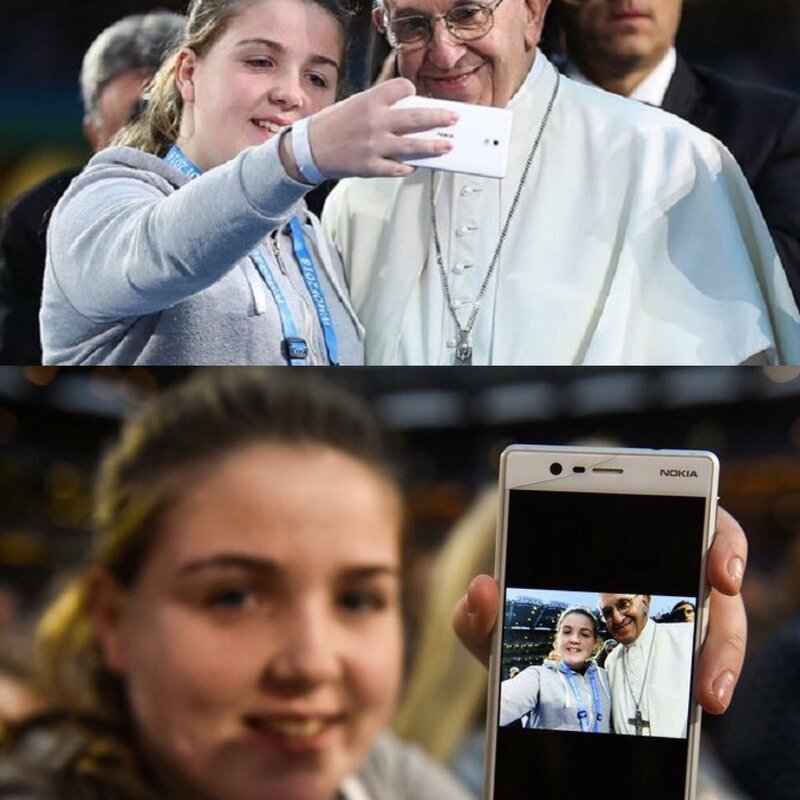 Well, you obviously charge up your Pope white Nokia 3 (2017), clean the front-facing camera, and take the selfie with his Holiness. The Pope, or the ruler of the Catholic Church, visited Ireland yesterday, and at the mass, was meeting with people there. 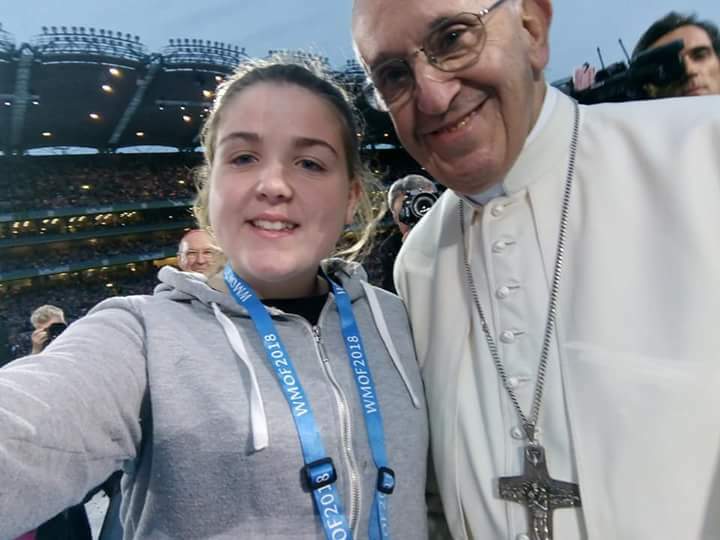 One girl approached him together with her Holy White Nokia 3 and got a chance to do the one-in-a-time selfie with his Holiness. Seeing Nokia phone in front wasn’t strange for the Pope Francis since he believes in the resurrection, and Nokia is back. Nokia 3 camera is one of the best in its segment. We had a chance to review it, and the device still creates great shots, both with the main and front-facing camera. Nokia 3.1 comes as a great improvement of the device, but Nokia 3 will still serve you well. No wonder it is still being sold around the world, and after this event, the white version will sell like hotcakes. 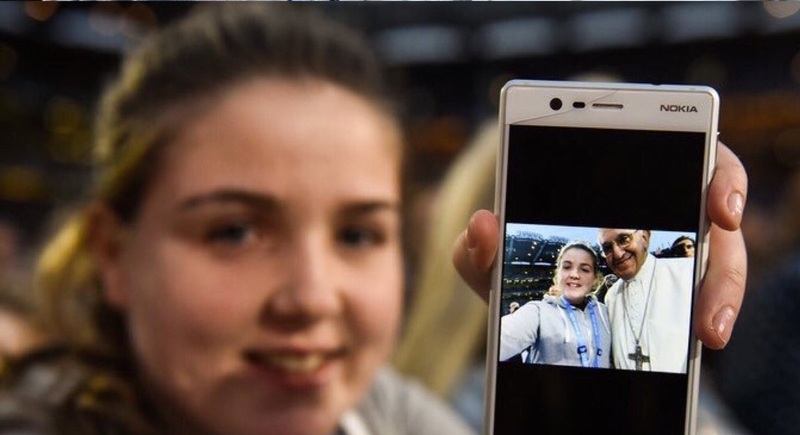 Hope that Nokia Mobile will get this girl a new Nokia 3.1 so she can enframe this one :).